We offer meters, electrodes, and solutions designed to measure a range of ions, including fluoride, chloride, ammonia, sodium, silver sulfide, bromide, cadmium, calcium, carbon dioxide, cyanide, and more. 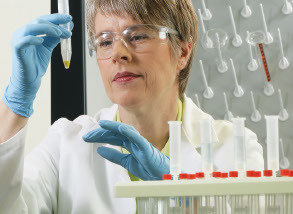 Ion concentration measurement or ion-specific (ISE) measurements can be performed in every laboratory for a variety of sample types including water, food and beverage, pharmaceuticals, and biological samples. Take your measurements outdoors. Take your pH and ion concentration (ISE) measurements in the field without sacrificing accuracy and reliability. Our portable meters are rugged and waterproof, and provide dependable performance in the field.